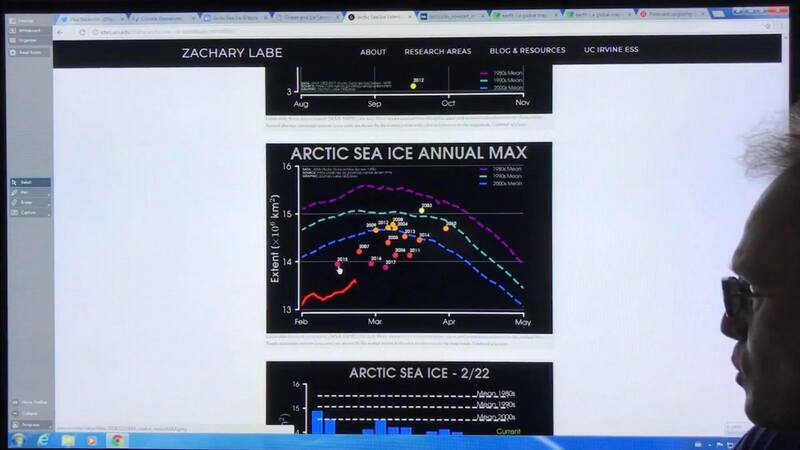 Above the Arctic sea-ice sits a dome of cold, dry, heavy air. Arctic temperature amplification results in very wavy, pronounced crests and troughs in the jet stream, so warm moist air moves rapidly northward in atmospheric river fingers that often slice through the dome causing above freezing temperatures at the ice surface, and also deflect upwards at the dome surface. 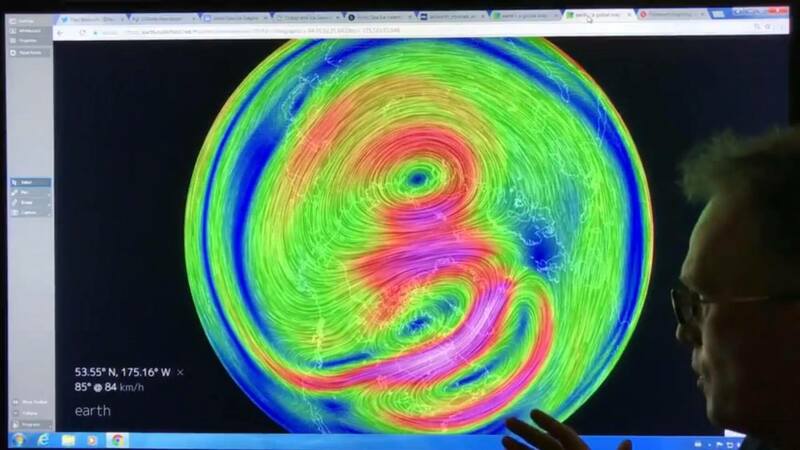 With fast enough wind speeds they can penetrate up high into the atmosphere and slice the polar vortex into multiple loops, and feed back to further break the jet streams. 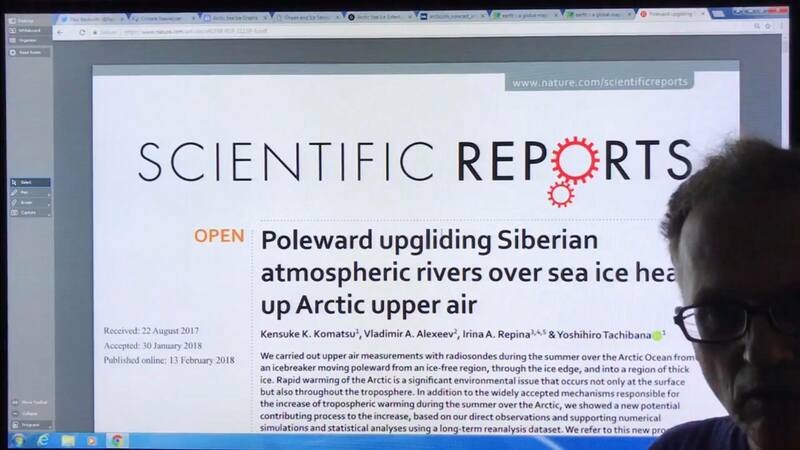 Interview, on Extinction Radio Episode 83, Paul Beckwith: Climate Update, 21st February 2018, at Part II, 17.01 – 50.30. With Derrick Jensen, Paul Beckwith, Nicholas Humphrey, Rob Seimetz, Ian Baxter, Mike Ferrigan. 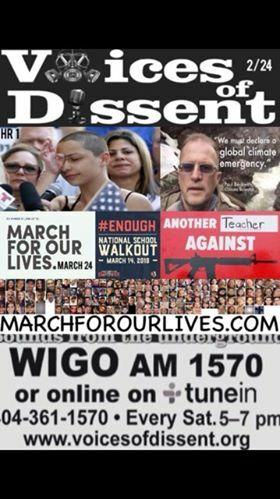 Another interview, on Voices of Dissent with Dougie Hanson, from 2/24/19 show, link to segment of one hour Podcast. here. Additional content, at hour two is also here. This entry was posted in Catastrophe, Climate, Climate Change, Global Warming, New Video, Rapid Climate Change, Science, Videos, Warnings, Weather and tagged Climate, Climate Casino, Climate Change, Dougie Hanson, Extinction Radio, Ferrel Cell, Fractured, Global Warming, Hadley Cell, Jet Streaks, Jet Streams, Negative Vorticity, Positive Vorticity, Storms, Streaks, Voices of Dissent, Weather, Weather Extremes, Weather Weirding, Weather Whiplashing, Weather Wilding. Bookmark the permalink.